The following are some basic troubleshooting steps to assist if you suddenly start to encounter corruption on your monitor, crashing while running games or application, system freezes or your computer randomly reboots. Has the game or application recently received an update or patch? If so it is possible the changes may have introduced instability. Check with the publisher of the game/application to see if this is a known issue and if there are any workarounds. Check if your game files were damaged through Steam / Origin repair feature. Do you overclock your graphics card? Over time, NVIDIA display driver updates usually bring added performance through better usage of a GPU architecture. 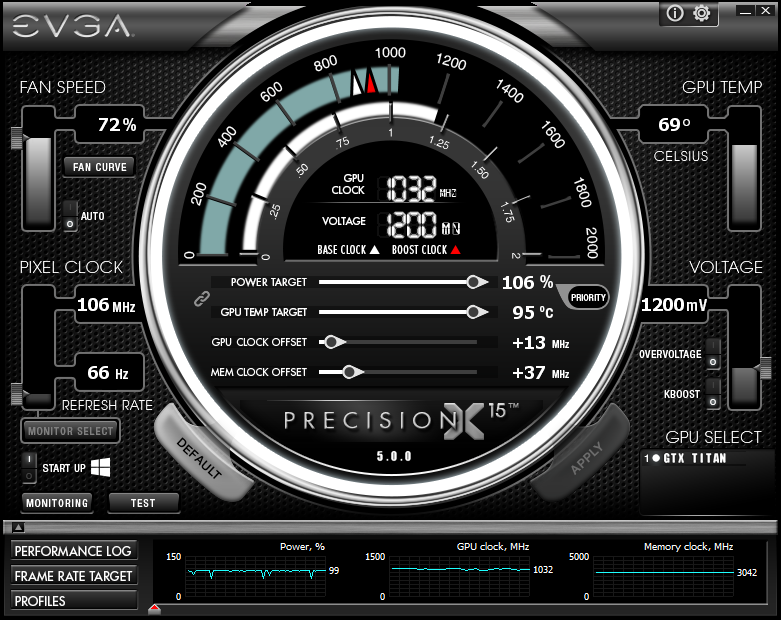 When a graphics card is performing faster, it may also stress the card more and thus you may not be able to achive as high of an overclock as you may have been able to with previous drivers. Try lowering the amount that you overclock your graphics card. Is your PC a custom built PC? If so, did you remember to install the motherboard chipset drivers? Most users will allow Microsoft Windows to install basic drivers for their motherboard and while these drivers are great for basic PC use, once you start running intensive applications, you may find your PC will function better if you download and install updated chipset drivers directly from the manufacturer of the chipset on your motherboard. Are too many applications running in the background? If your Taskbar Notification Area shows several programs running in the background that you don't use on a daily basis, check if it is possible to disable the application from launching automatically on Windows startup. Some system monitoring utilties such as anti-virus or anti-malware programs may offer a game mode that lets you temporarily disable the program while you launch a game and then permit you to enable it once again after you have closed the game. Other programs that are launched manually by the user and not required by the game should also be closed before launching any CPU or graphically intensive game as it may cause your game to crash. Have you had your PC for a long period of time or live in a dusty area? 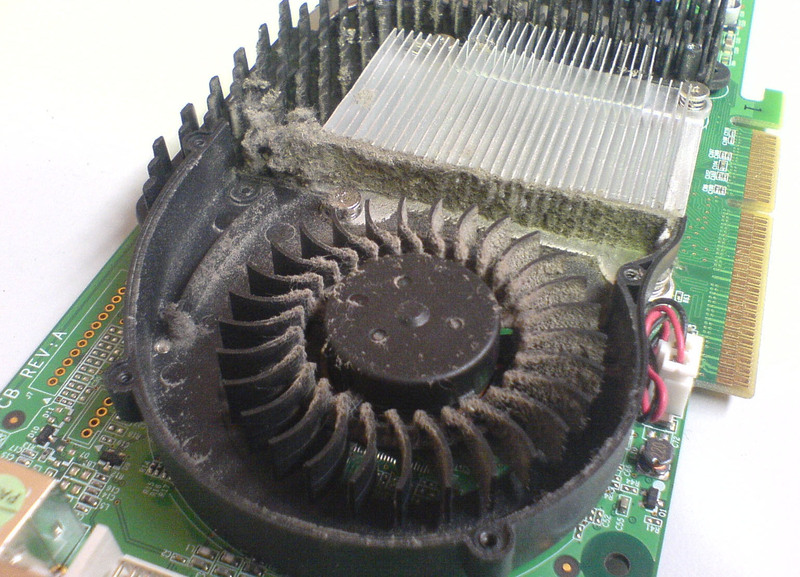 Your PC may have collected large amounts of dust inside. Dust can act like a warm blanket for your PC components preventing heat from escaping. When your PC overheats, your PC will freeze, reboot or simply crash. Inspect the inside of your PC for dust and if you find it is covered with dust, carefully blow the dust off using safe compressed air dust removers. If the fan from your graphics card appears to be making a louder noise than when you first purchased the graphics card or PC, there is a chance it is not work as effeciently as it used to. Try lowering the graphics and memory clock speed of your card to help keep your card from overheating. 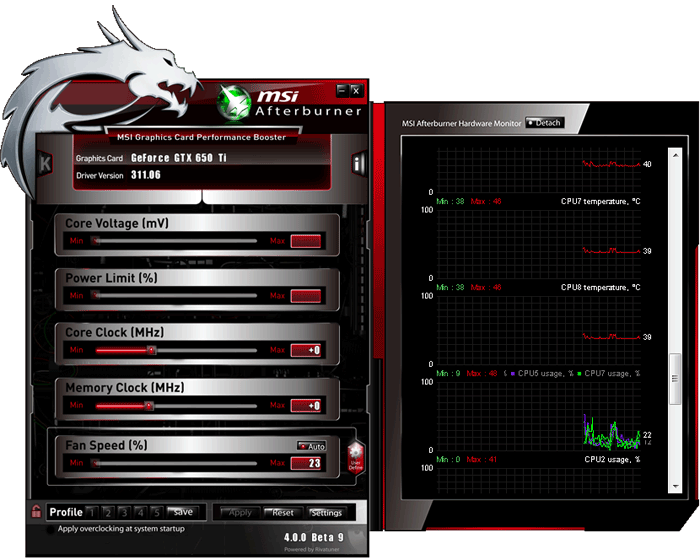 3rd party programs such as eVGA Precision or MSI Afterburner allow you to adjust the clock speeds at which your graphics card will operate. Reducing the core clock speed and memory speed (moving sliders to the left) should help your card if you are encountering stability issues during graphically intensive games or applications. If any component in your PC is overclocked including CPU, system memory or graphics card, lower the clock speeds to the default values to rule out overclocking as the cause of any system instability problems. Allow your PC to have proper ventilation from both the front and rear of the case. Placing your PC desktop or tower in a closed desk enclosed area may cause your system to overheat. Faulty CPU, memory, motherboard, hard drive or system memory may show symptoms only during intensive applications, usually games, which may appear as a graphics card problem but it is not always the case. If you have access to another computer, try swapping the graphics card and test the card to see if you can reproduce the same issue. If the problem only appears on the original computer, then this is likely a sign of a one of the issues covered above.